Love BDI like we do? For a limited time, save on all BDI Media Cabinets and Semblance Modular Systems during The Annual Media Furniture Event. Runs 2/16 to 3/7/2017. 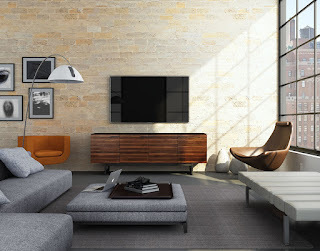 At dane decor, you’ll find a huge selection of high performance media furniture from BDI that is unique, functional and attractive. Our Home Theater collections are expertly engineered to meet the demanding needs of today’s electronics, integrating technology into the home while enriching the home theater experience.